"I don't want to hear! I've changed my mind, I won't do it!" 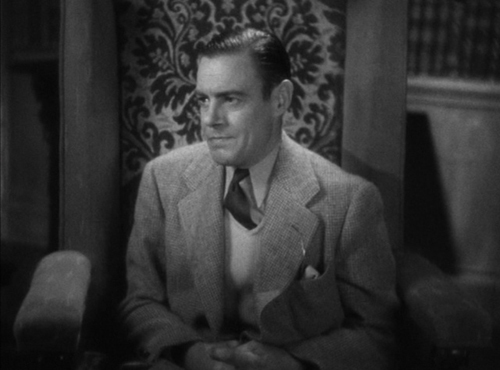 says a puling, nearly hysterical Henry von Frankenstein (Colin Clive) when his one-time mentor, Dr. Pretorious (Ernest Thesiger), once again approaches him about building a mate for Frankenstein's (he presumes) rogue creation. "I expected this," lisps Pretorious, himself no slouch in the feyness department. "Perhaps this will convince you." 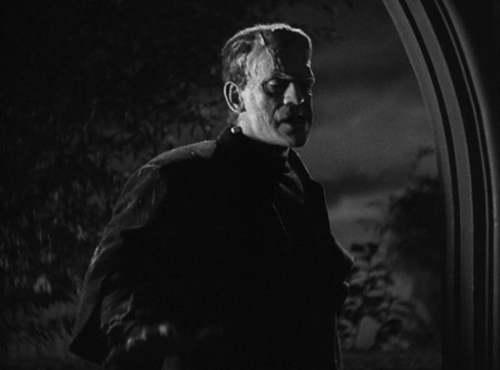 And the Monster, still showing voluminous damage (it was inflicted at the end of the first Frankenstein film) shuffles in. 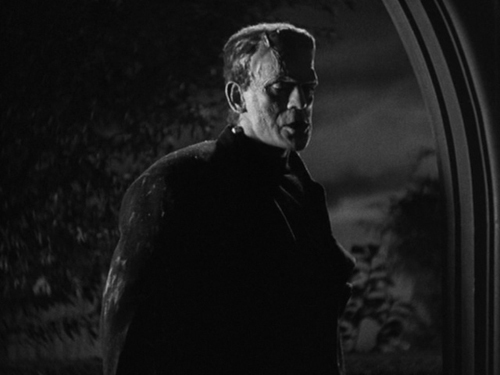 "Frankenstein," he grumbles. Making Henry freak out further. "Yes, there have been developments since he came to me," Pretorious says. "Yes. Must." The Monster agrees with Pretorious. And no doubt has more powerful means of pursuasion. "I won't even discuss it until he's gone," Henry shrieks. And at this point, we think, "Is this any way for a father to act?" The Monster understands. He dismisses Da's whinings with a sweep of the arm and clomps away. Henry's parental guilt takes the form of active resentment and overt denial, a refusal to engage his own creation in the slightest. Even when compelled to acknowledge and fulfill his own responsibilities, he does so with a thoroughly grudging attitude, demanding rewards before he's earned them. 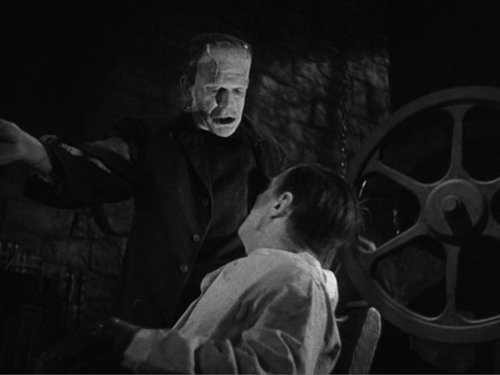 Nodding in the lab where he and Pretorious are building the Monster's "bride," he begs to be allowed some rest. "Work! Finish! Then sleep!" his first creation orders, quite reasonably. Given Henry's attitude, is it any surprise that the whole project is a dismal failure, culminating in a hissing, undead Medusa-like creature who rejects the Monster, who thereupon concludes "We belong dead," after bestowing on his bad dad the greatest of gifts by allowing him to continue living? 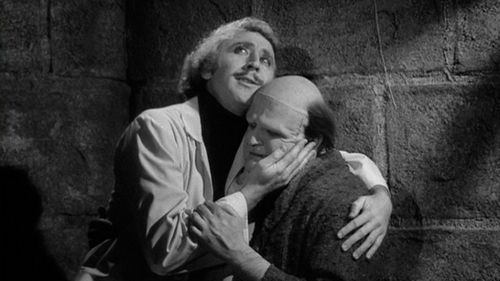 Compare and contrast Henry with Frederick Frankenstein who, on discovering why his creature turned out so poorly, puts aside the facts and idealistically proclaims, "Love is the only thing that can save this poor creature. And I am going to convince him he is loved even at the cost of my own life!" "This is a nice boy. This is a good boy. This is a mother's angel." And soon enough, they're dancing to Irving Berlin songs together.